Merguez is a lamb- or beef-based sausage that is red in color and full of spices. 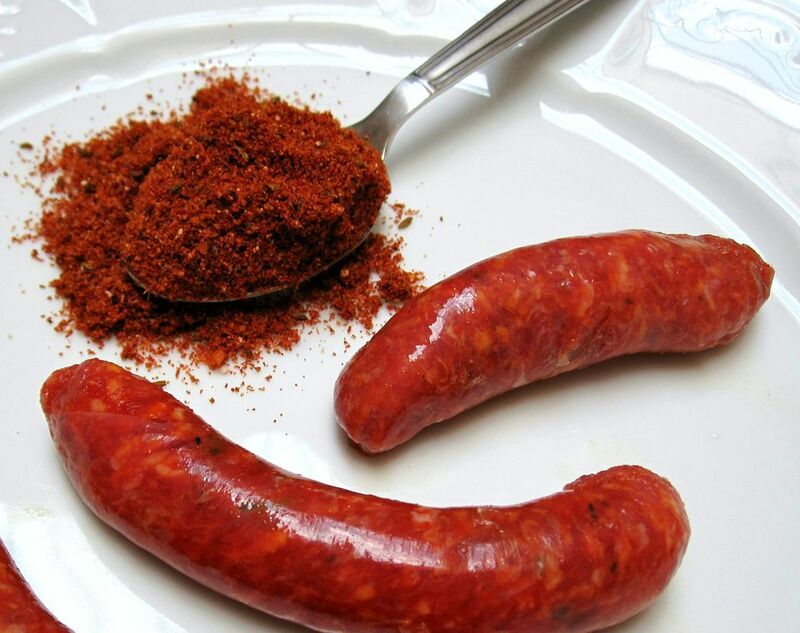 Although of Tunisian and Algerian origin, spicy sausages are quite popular in Morocco. Some butchers boast their own signature merguez spice blend, while others prepare the sausages with a commercial mix instead. No matter how it is made, merguez is one of the most flavorful sausages you can find. My local butcher's Spanish-made merguez blend contains glucose powder, which gives the sausage a notably sweet essence. This recipe does not include glucose powder, so feel free to add the optional sugar if you would like a sweet contrast in your own merguez spice mix. Once the spices are combined, store the mixture in an airtight glass or plastic container for up to six months. Use it when following the Merguez Sausage Recipe, or try it as the seasoning for lamb or beef meatballs. Measure all of the ingredients into a bowl. Using a fine mesh strainer, sift once, then stir again.